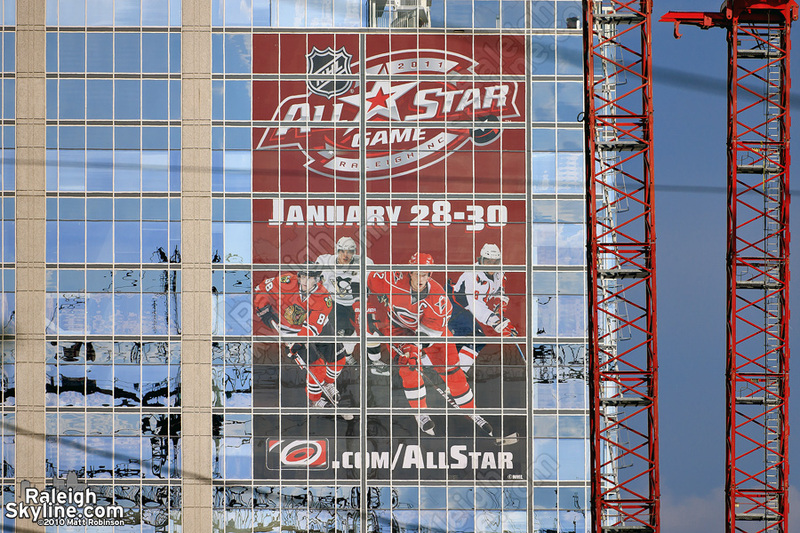 RBC Plaza got a temporary tattoo of the 2011 NHL All-Star Game logo, referring to the spectacle hosted by the Carolina Hurricanes here in Raleigh on January 30, 2011. It appears as advertised. 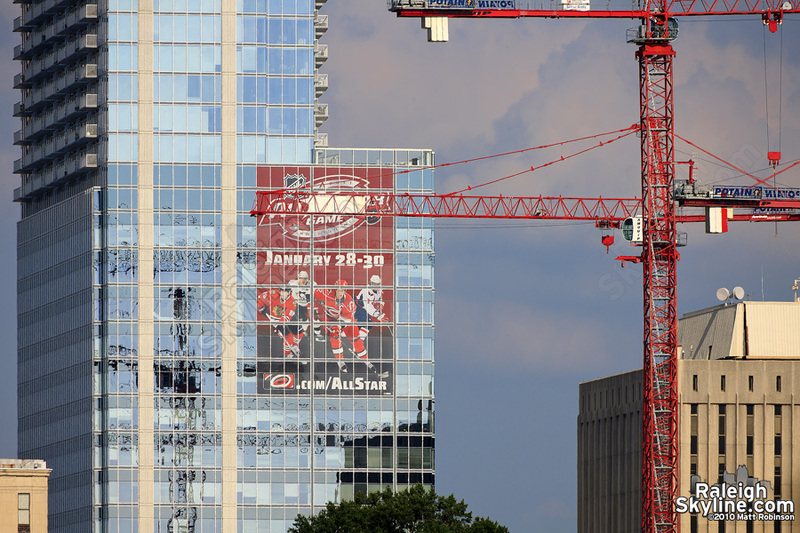 I’m not sure how I feel about this showing up in every skyline photo until next year, but it does spice things up somewhat.